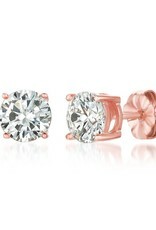 Classic brilliant cut round stud earrings. 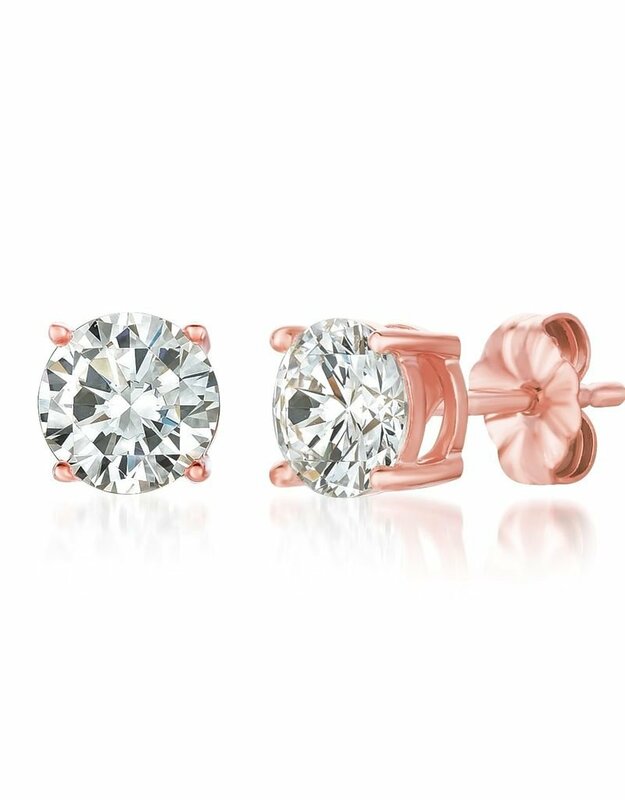 .925 sterling silver finished in 18kt rose gold Carat total weight: 2.0 - 1.0 Carats each 0.26" diameter Specify “Store Pickup” on check out and shipping charges will not apply. Pick up during store hours (specify Gainesville or Ocala location in “Comments”). Please allow 2 - 4 weeks for items not in stock. Questions? Our knowledgable team is here to help! Call 352-672-6004 during store hours, or reach out anytime via email to Hello@ShopAgapanthus.com. Shipping will be verified with purchaser prior to ship.